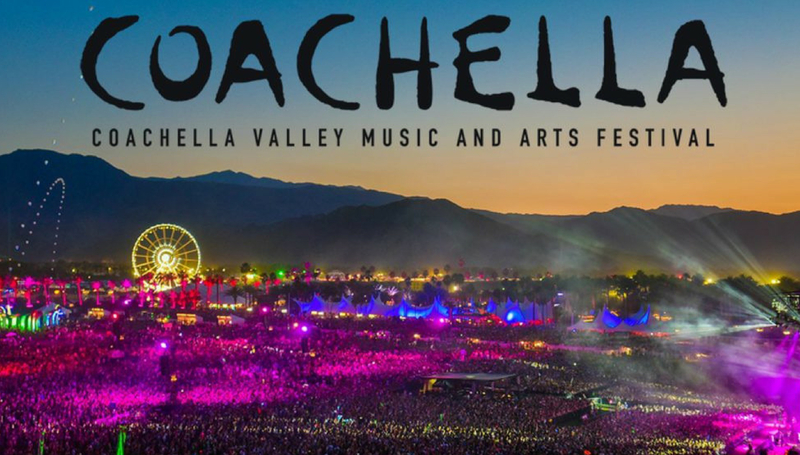 The first weekend of one of the most followed music festivals around, Coachella Valley Music And Arts Festival (also known just as Coachella), is over. It was an intense and full weekend, beginning on Friday April 12 and ending yesterday on Sunday April 14. Coachella 2019 is already shaping up to be a festival to remember. With performances from J Balvin, Janelle Monáe, Billie Eilish, BLACKPINK and of course Ariana Grande, this year’s Coachella was expected to please, and it definitely did not disappoint. If you didn’t get your tickets to the festival, (for obvious reasons) don’t worry, as there’s plenty of ways to follow along. You can check out Coachella’s livestreams on YouTube, or simply through the many Instagram stories and posts of the celebs who were there. Anyway, here you find all the highlights from the stages of the first Coachella 2019 weekend. Featuring performances that will go down in Coachella history, check out below all the moments you may have missed from Selena Gomez’s surprise appearance, Billie Eilish’s ghostly performance to one of Ariana Grande’s best performances. First of all we have to underline the that reggaeton finally made it on Coachella, with amazing performances from Latin American artists J Balvin, Bad Bunny and Spain’s Rosalía. With Latin music taking over the charts in the U.S. (it’s actually more popular than country music in America), we can say this line up has been long-awaited by fans, especially since Latin music has been a trend worldwide for about 3 years now. Let’s see a glimpse of the performances below. How can you not be impressed by Billie Eilish’s creepy and ghostly performance? Following the release of her debut album When We All Fall Asleep, Where Do We Go?, she’s becoming one of the most interesting emerging artist in music industry, and also heavily criticised. But during her mesmerizing performance at Coachella on Saturday night, the teen singer showed just why she’s at the tip of everyone’s tongues. The singer-songwriter performed “Bury a Friend” while posed atop a bed with iron railings suspended from the ceiling with chains, creating a vibe that definitely felt like something of The Exorcist. Billie’s set also included hit songs “When The Party’s Over”, “Ocean Eyes” and “My Strange Addiction“. The crowd screamed and sang along with every lyric. Check out below some audience clips. But the surprises aren’t finished. The crowd was definitely astonished by the sudden appearance of Selena Gomez and Cardi B during DJ Snake‘s performance along with Ozuna to perform their hit song “Taki Taki”. The performance marked Selena’s Coachella stage debut; previously she has been seen attending the festival (and showing off plenty of cute springtime fashion). Cardi, on the other hand, is no stranger to Coachella, having performed at the event last year. Also BLACKPINK made Coachella history. The girl group became the first female K-pop band to perform at Coachella, and their set was live-streamed on a huge screen in New York City’s Times Square. Check out the performance from NY’s most loved square and live from Coachella below. And what about Janelle Monáe’s performance? Including an eye-catching five outfit changes, each was more vivid than the last. Alexandra Mandelkorn, the performer’s stylist, shared in a statement that she wanted Janelle to look like a “starship commander from an amazing Afrofuture planet.” Watch Janelle’s Coachella performance uploaded on Youtube below. Last but not least, Ariana Grande’s performance. #Arichella is the new trend spreading on Twitter. The “thank u, next” singer used part of her time in the spotlight to host a reunion of ’90s boy band NSYNC. The boys joined her for her song “Break Up With Your Girlfriend” before performing “It Makes Me Ill“. Then, she accompanied the band on their classic song “Tearin’ Up My Heart“. NSYNC’s appearance was just one of the surprise guest appearances of the night. The second was from rapper Nicki Minaj. Her appearance really shocked the audience, who then went crazy. It was one of the few moments of the weekend that got so much attention. Ariana Grande hails Nicki Minaj as the “Queen Of Rap”. Also Grande, Diddy, and Mase performed a tribute to her late ex-boyfriend Mac Miller and other late hip-hop artists, including Nipsey Hussle, 2Pac and Biggie. She had four costume changes, with looks styled by Law Roach. Fans thoroughly documented the night on social media. And this, was only the first Coachella weekend, and it made history. Are you ready for the second week?